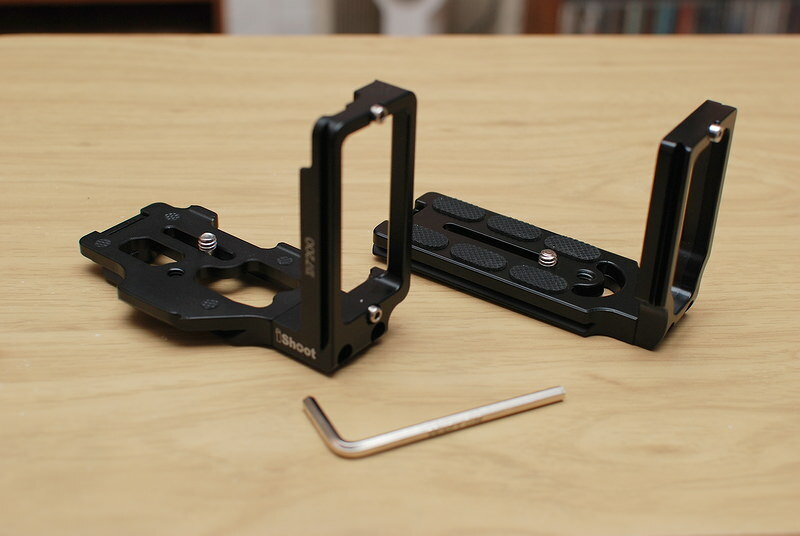 A pair of L-brackets for D7000 and D80 bodies. 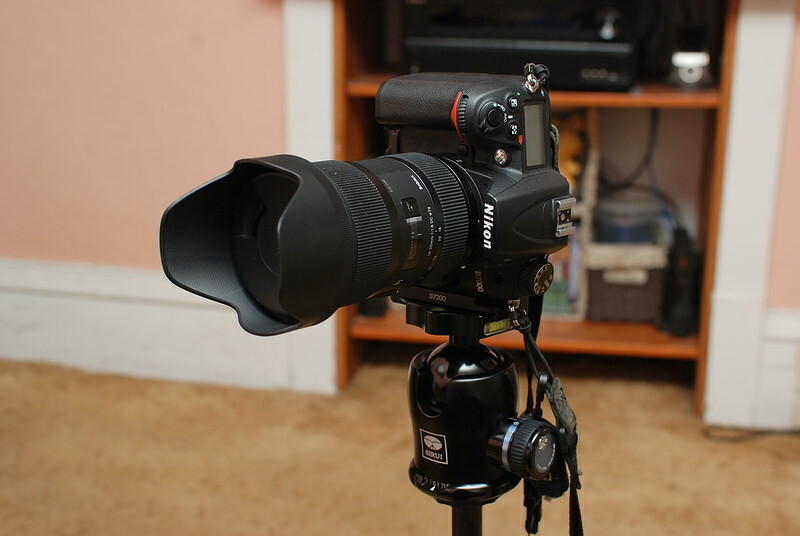 I could have simply used the regular Arca-Swiss compatible plates to mount to my camera bodies for tripod use. But there is a reason to go with these L-brackets. They hold to the camera body more securely, and they allow you to mount the camera in portrait mode without having to flip a ball-head sideways. It is a better way to do portrait mode all-around. 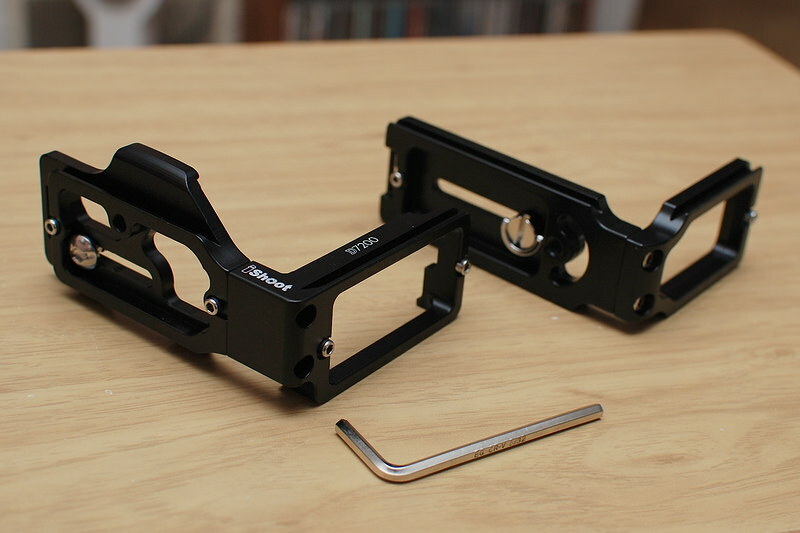 The bracket to the left is custom machined for the Nikon D7000/D7100/D7200 series. 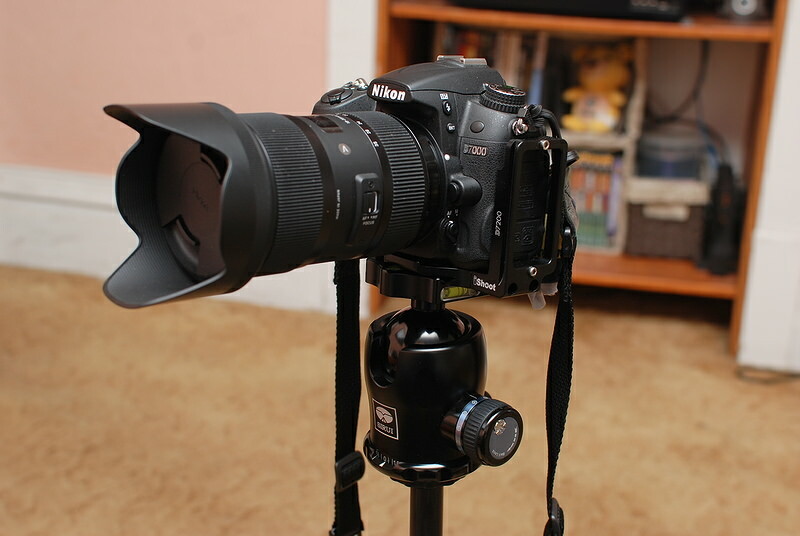 The right bracket is a generic universal-fit type because I could not find one online customized to fit a D80. 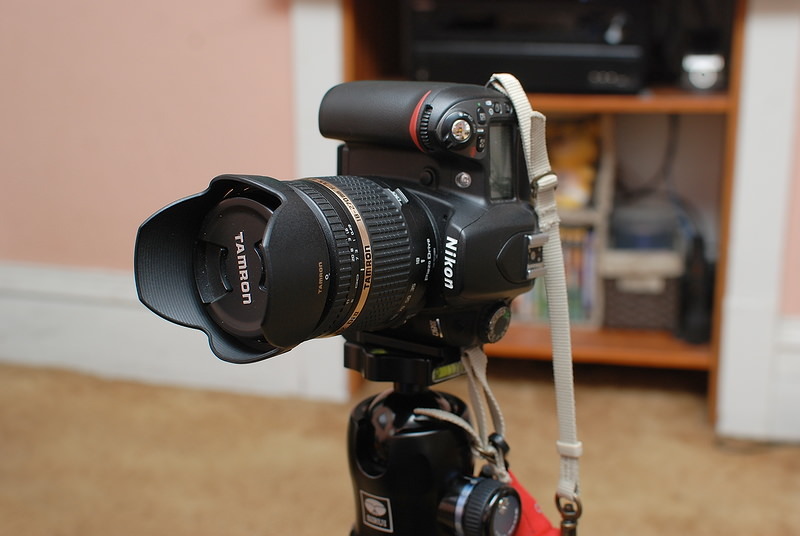 On ebay, the D7000 bracket is about $30 (half of anywhere else) and the universal one about $9. 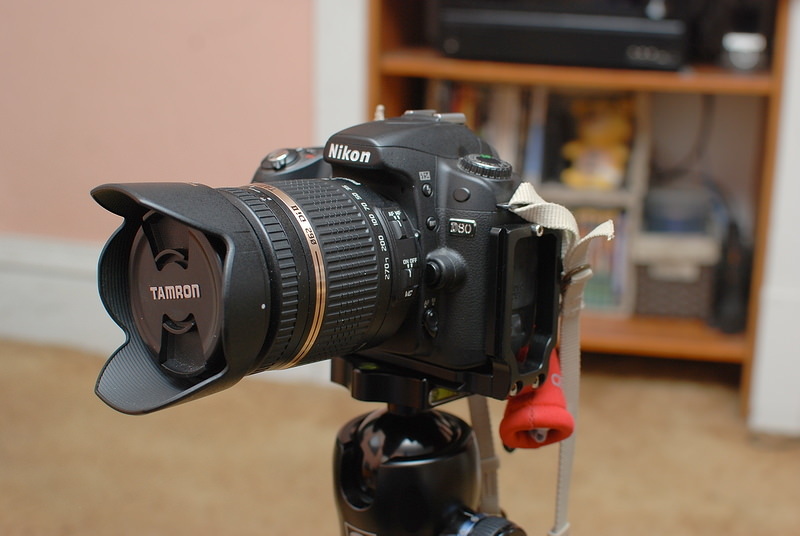 The D7000 screws in with an Allen wrench or a coin, the D80 can use a coin or the familiar pivot gripper. 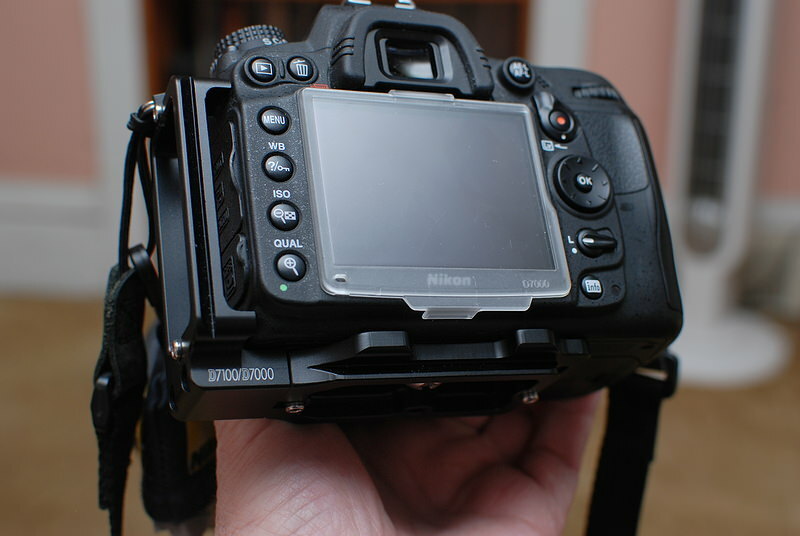 The D7000 bracket relies on contour-matching to hold in place better with minimal rubber pads, the universal mount for the D80 has to use a lot of rubber friction pads to keep things from moving around. Both allow free access to the battery hatch. 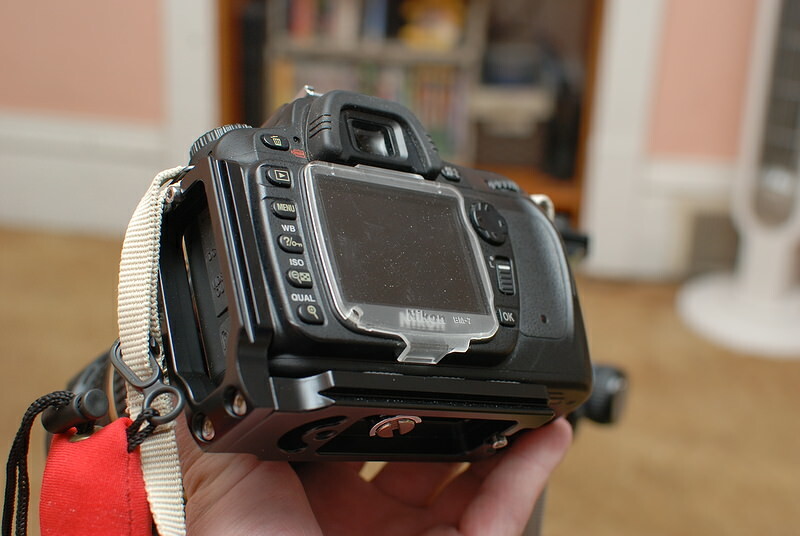 Both have openings to access the doors on the side of the camera bodies. But there is a difference here between them. 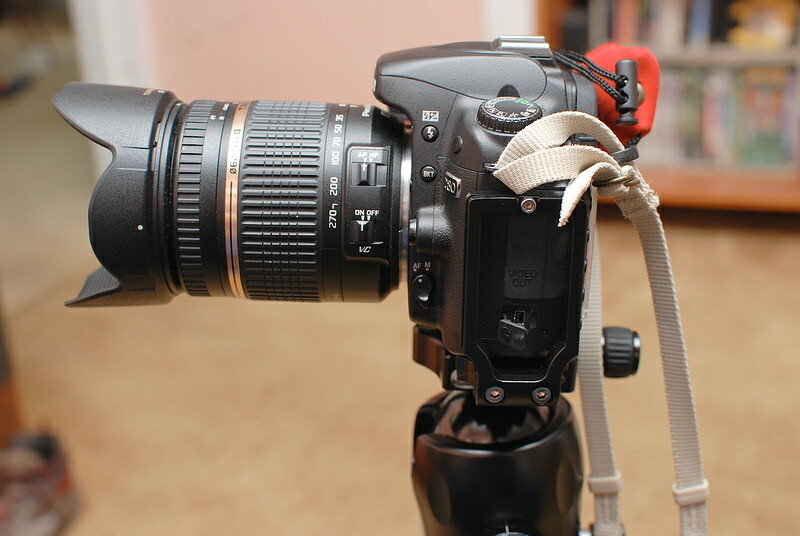 The universal fit bracket actually allows me to access the cover for the remote shutter-release connector without trouble. But I have to do some fancy finger contortions to open the cover on the D7000. I presume it may be better on a D7200, but I don't know. Neither has enough clearance to mount in portrait mode and use the remote release, unless you loosen the bracket and slide it away from the side of the body about half an inch. I do have a wireless remote to compensate for this too. 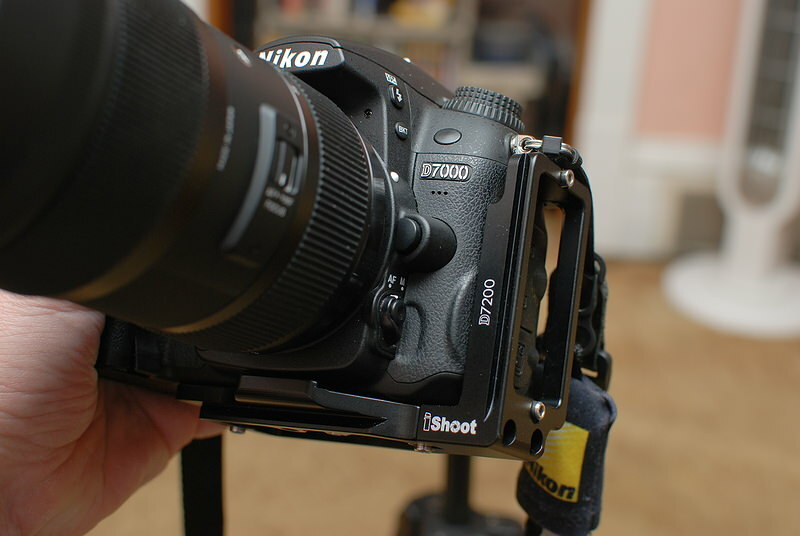 There are manufacturers that also have custom brackets that will fit around a battery-grip for the D7000 and D80. I have a grip for each too, but the cost is out there. Besides the bracket itself makes holding the portrait-mode grip difficult. Speaking of which, I do find the brackets force me to adjust my hand-holding some. The left hand under the lens, the bracket digs into the wrist a little bit. Ideally I want to leave the brackets attached most of the time, so I will work it out. But it is a check on the negative for these. Also the stopper pins on the bottom don't allow for the camera to sit flat on a surface. The pins can be removed with an Allen wrench, but that also will remove the safety-retaining feature when adjusting on a clamp. The brackets are strong and light made of aluminum. Each have a threaded hole underneath so you can still mount some other item that uses the tripod-mount hole under the camera body. 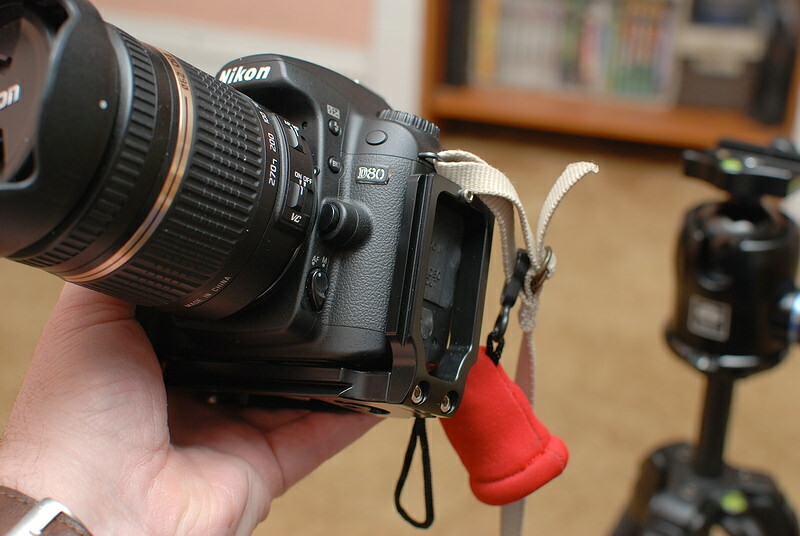 It could be a sliding attachment to a sling, or even the attachment for an OP-Tech camera cover tether. They both feature a slot underneath to thread a strap through too. Is the extra cost of the fitted bracket worth it? I think I need more time to answer that better. It does seem more secure.